Screendiver – the Digital Comics Directory is a growing collection of the world’s best interactive comics. 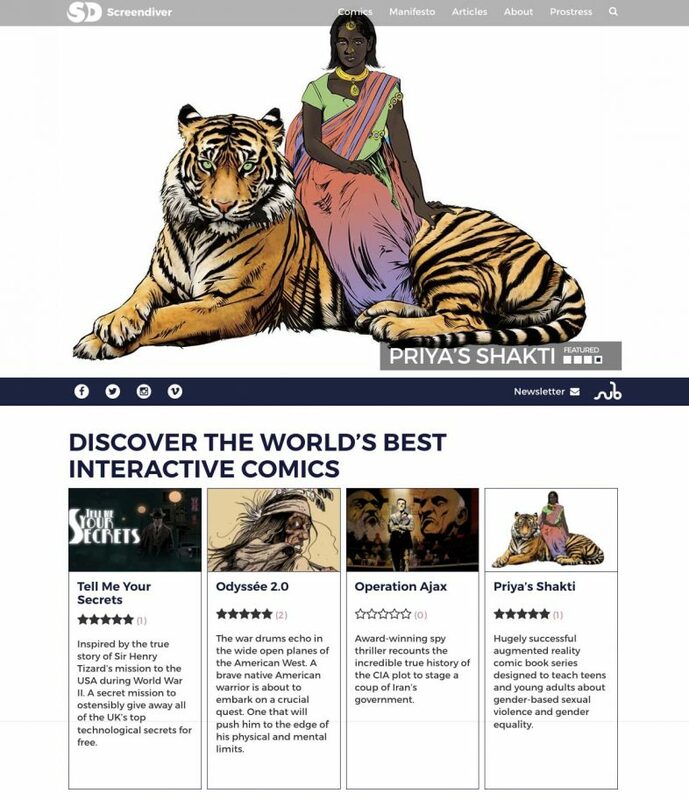 From short interactive web comics to ambitious interactive comic apps, Screendiver is THE goto place for adventurous readers who want to discover exciting new interactive comics. Screendiver was conceived in 2014 at the Fumetto Comics Festival in Lucerne, Switzerland, by a bunch of indie creators and producers, who took part in the exhibition “Motion Comics – The Beginnings” – the first proper showcase of interactive comics. They are Ezra Claytan Daniels, Daniel Burwen, Sutu, Jason Shiga, Baptiste and Julien Milési and Remco Vlaanderen of Submarine Channel. Together, we created this online destination to make it easier for audiences to find high quality interactive digital comics.